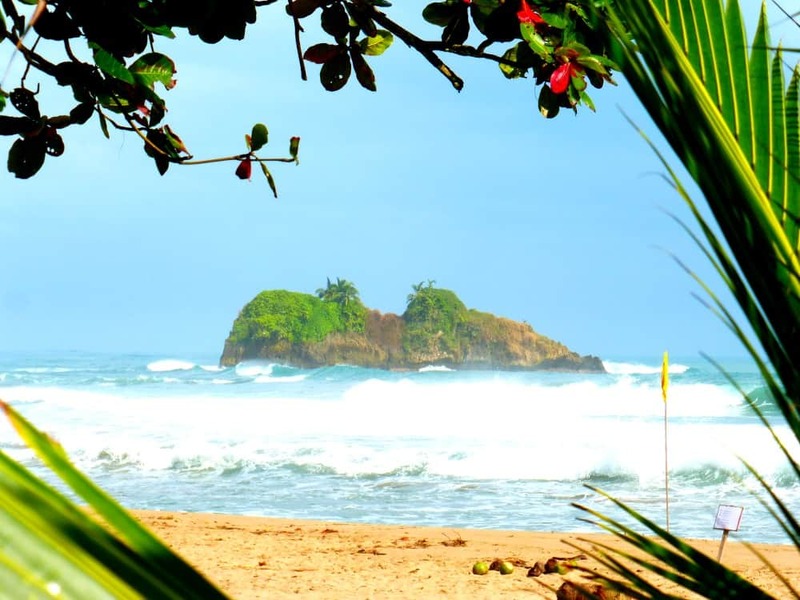 Puerto Viejo on the Caribbean Coast has everything you want in a visit to Costa Rica. 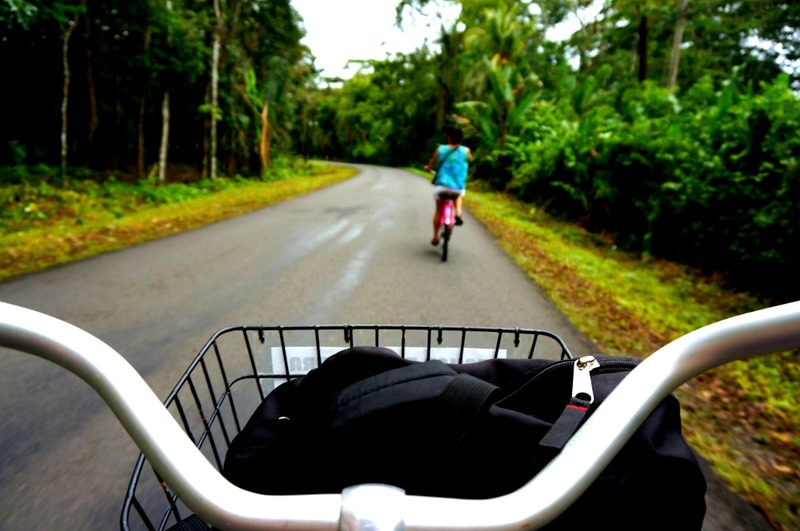 And the best way to view it all is over your beach cruiser handlebars on a ride from Puerto Viejo to Manzanillo. 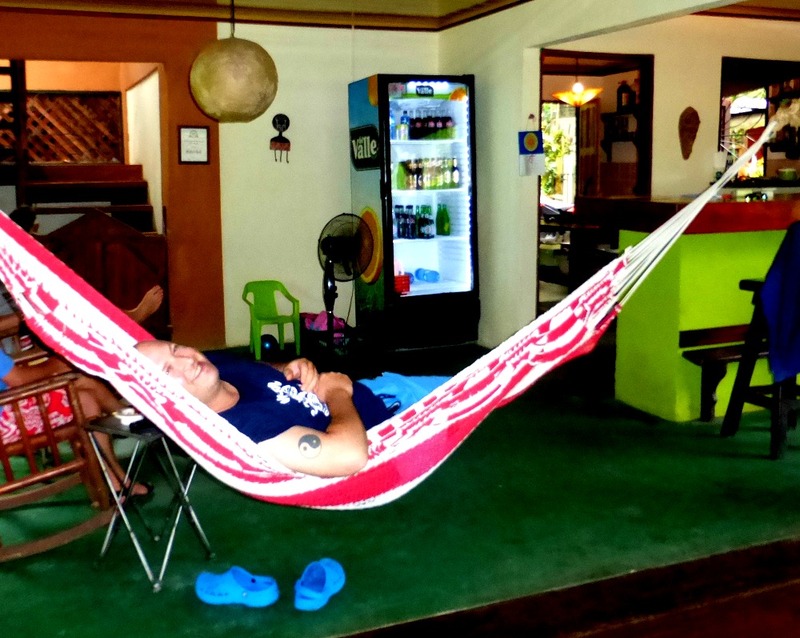 Start off in the relaxed town of Puerto Viejo. You can find bike rentals here from about $6 per day. 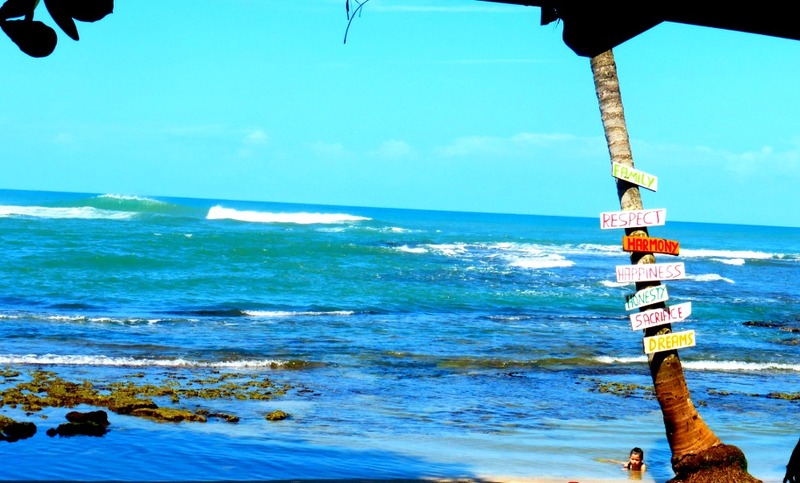 There are plenty of restaurants with views to the beach, featuring the famous Salsa Brava surf break. You’ll also be treated to the sounds or reggae music floating in the air and can easily believe that you have been transported to Jamaica. There is one only one road to take, which you will share with other bikers, pedestrians, motorcycles, cars and the occasional dog that may adopt you along the way. The 13K ride is pretty smooth (meaning mostly flat, but watch the pot holes). 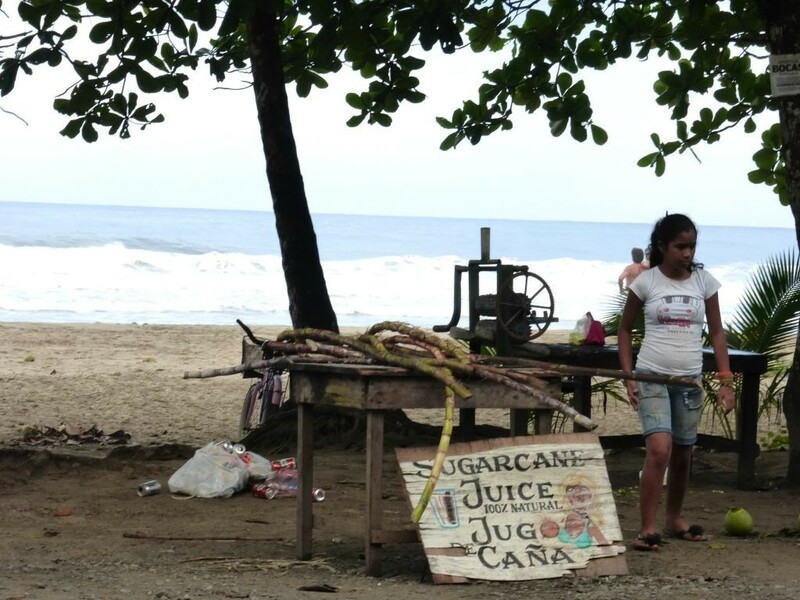 After leaving downtown Puerto Viejo, You will pass by jungle and several small hotels/hostels until you reach Cocles Beach. This beach is known for surfing and popular with locals but be aware of rip currents. 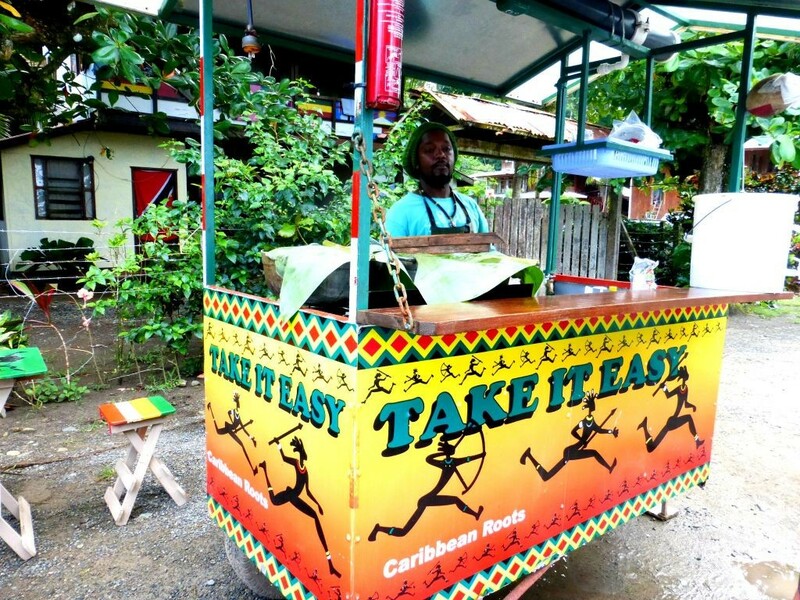 If the beach and reggae music have put you in the mood for jerk chicken, look no further than this guy. And you can get a delicious fruit and fresh squeezed sugar cane drink from the vendor across the street. Continue heading down the road, keeping your eye out for – whatever comes your way. You will soon come upon the Jaguar Rescue Center on the right. You can tour the facility and support their efforts to rehabilitate and release injured animals that are brought to their facility every day. We had a great time visiting the the center. Continue south, passing by Playa Chaquita and look for signs for Punta Uva, known as the prettiest beach in the area, where the jungle meets the sea. The waters are calmer here and there is a nice area for snorkeling along the coral reef. 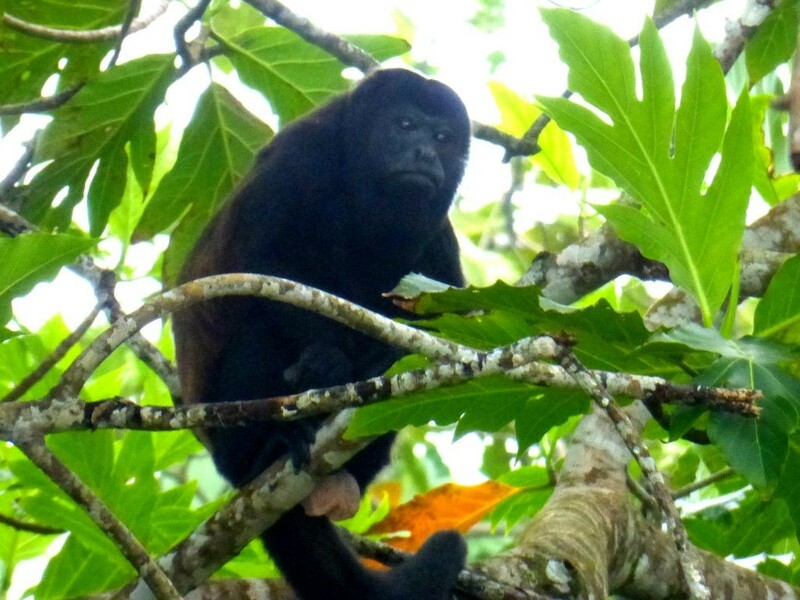 We met several characters along the way, including lots of howler monkeys and sloths. At his Middle Eastern restaurant Pita Bonito, he makes fresh pita bread every day that it sells to local grocery stores. Stop in for the hummus with falafel and to chat it up with Eylon, who found his way from Israel here following a girl, but stayed for the hammock. Brave you way up 2 small hills and you will be rewarded with a view of Manzanillo, a small fishing village with a pretty beach and locals who offer walking tours. 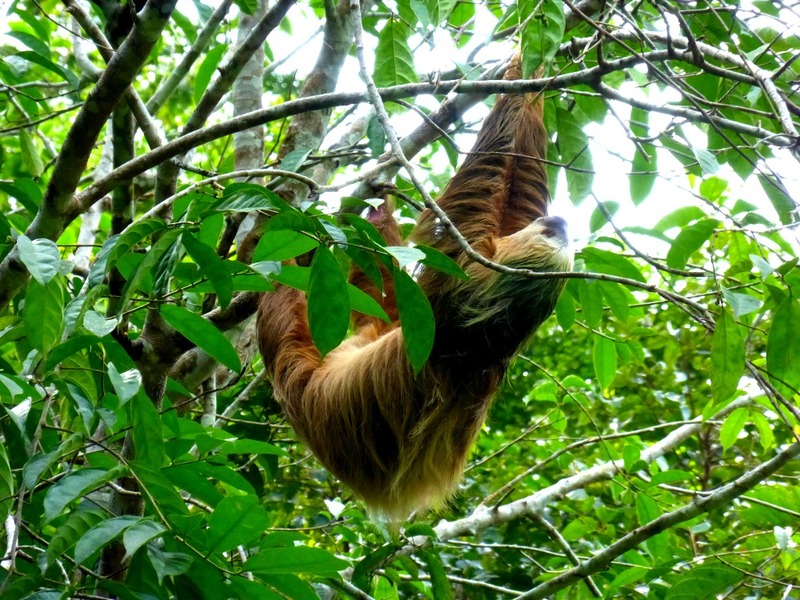 Time to cruise back to Puerto Viejo, keeping your eye out for the sloth you saw along the way (he’ll probably still be there) and start planning out a nice place to relax by the beach to enjoy the sunset. Now you know why everyone in Costa Rica ends most conversations with “Pura Vida,” and while you are here, you will too. 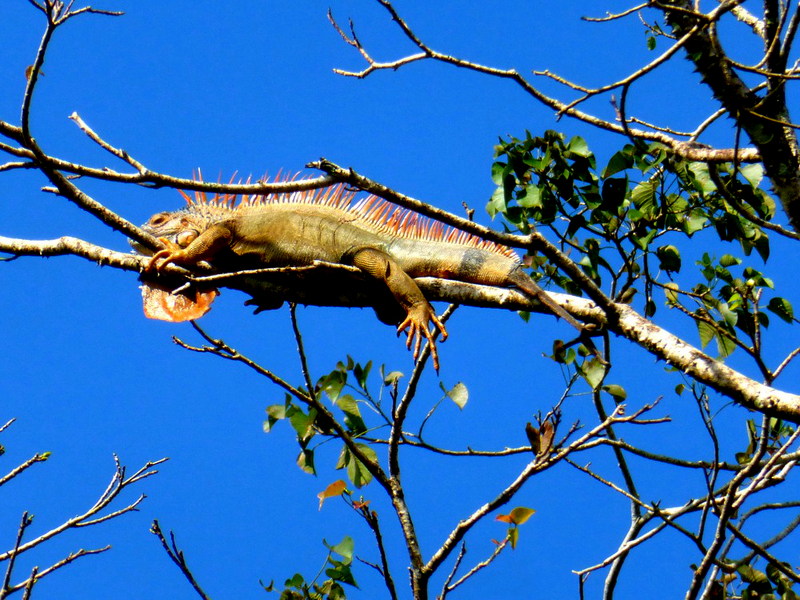 Whare have I seen a very colorful rope dragaon that resembles the Iguana? He is pretty cool, isn’t he? It was a beautiful place. We didn’t get a chance to check out the Pacific side this time, but all the more reason to return. It looks like you had a lot of fun on this adventure. 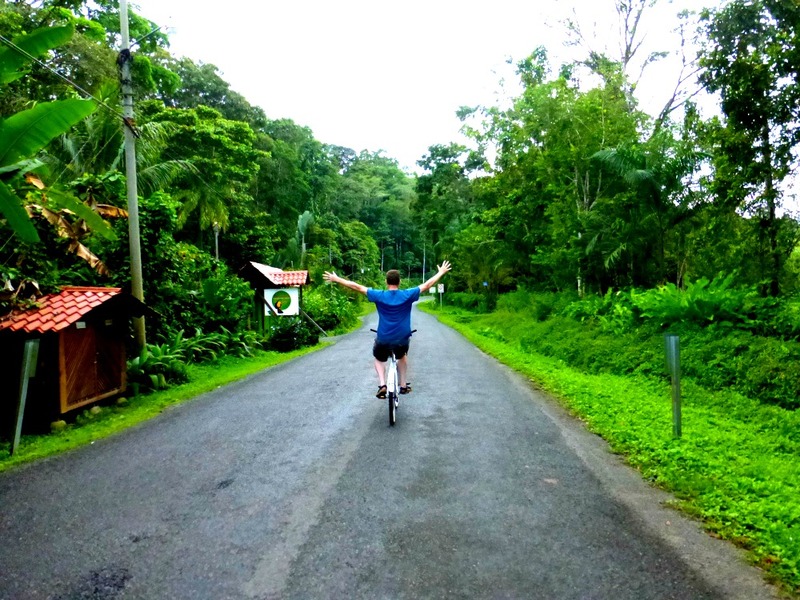 Cycling around the island is the way to go! Wonderful pictures and some amazing sightings of animals. You’ve found a wonderful little paradise. Great post. 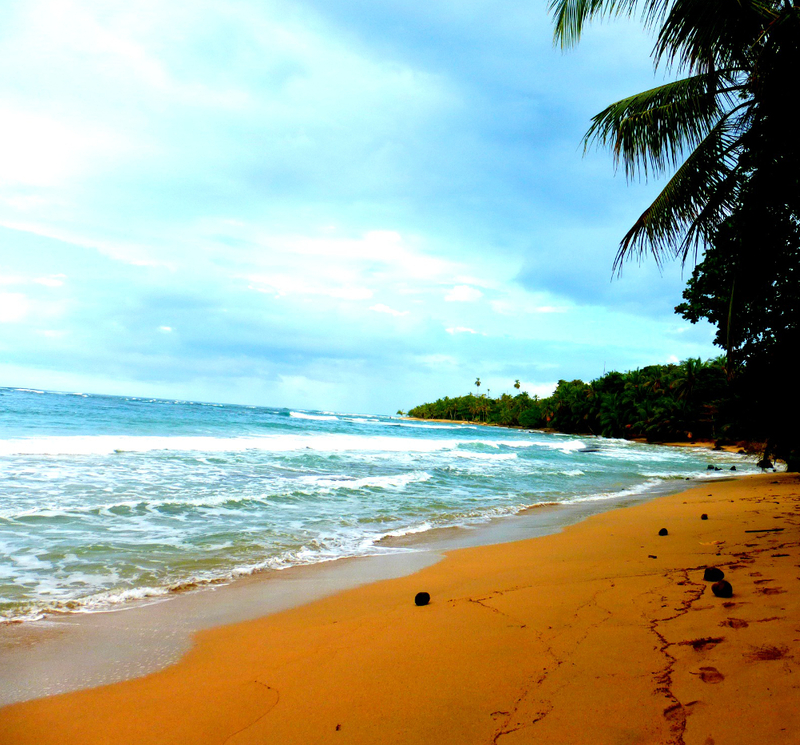 Loved and enjoyed my stay in Puerto Viejo. Bike was my mode of transportation throughout my stay. The ride to and fro is amazing. It runs parallel to the beach which makes it great for a lot of beach hopping. Tons of sights and foodies along the way. Definitely takes me back. I can go round and cycle all day if the view is as spectacular as this place. ..
We will be in Cahuita from May to August and planning to rent bicycles. Looks like it would be the best way getting around. It looks like you were having tons of fun! Yes, bikes are a great way to get around, get some exercise, and you have so many more opportunities to see the wildlife than you would in a car. Hve fun!